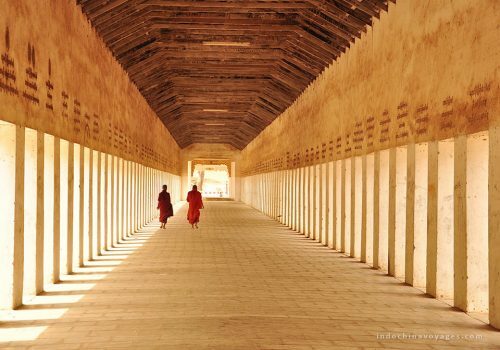 Most time of the year, Bagan is hot. 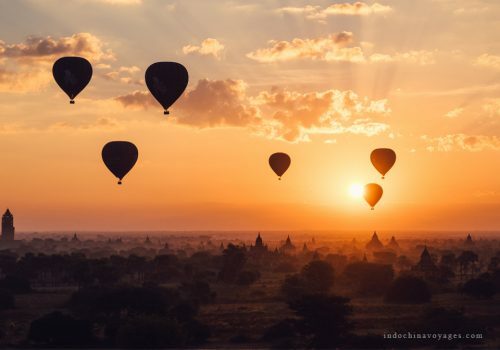 The months between November and February, when temperatures hit 30C (86F), are the best time to visit Bagan. From March to May, when temperatures can even up to 43 Degrees Celcius (110F), is time to avoid. In June and October, rainfall is highest. During the full moon season, a popular time for local festivals, is not a bad time to visit if possible. 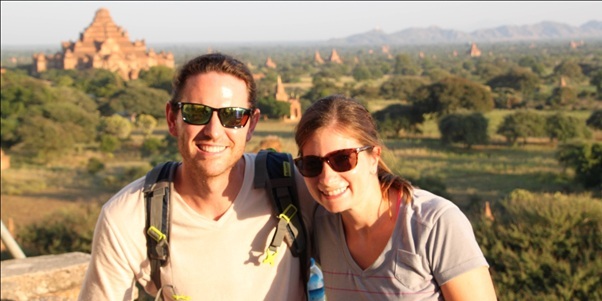 Especially independently, Burma is a difficult place to travel. Namely the almost total lack of ATMs, internet coverage and mobile phone, the sudden travel restrictions, the poor infrastructure and the inability, in all but a large number of guesthouses and hotels to make payments by credit card, old problems still remain. 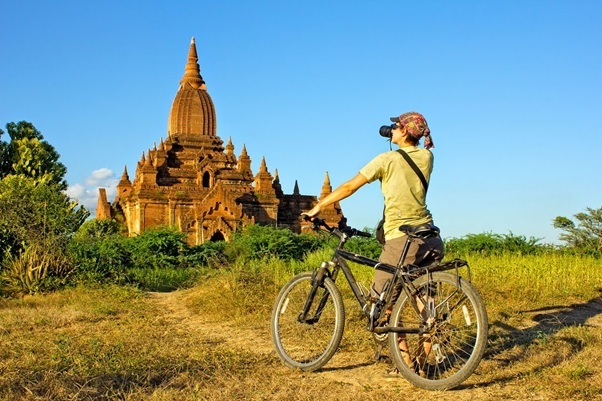 Bagan is often offered as part of a longer Burmese itinerary by most tour operators, usually approaching Bagan overland from Inle Lake, by river from Mandalay (recommended) or by air. It is required a minimum of a full day (two nights). Alternatively, it is also a good idea to combine tours elsewhere with a much short-term, self-contained river cruise from Mandalay to Bagan (or vice versa). 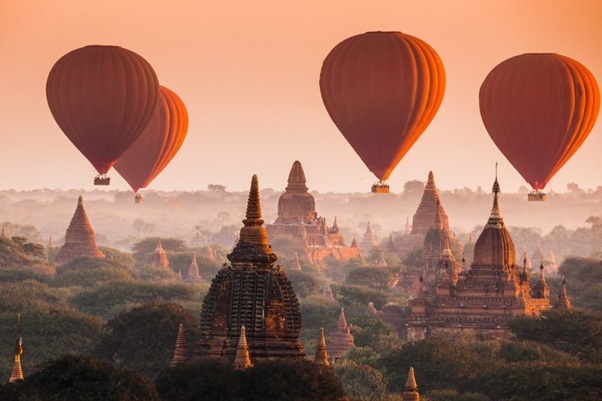 If you can afford an expensive way to see the stunning temples, check to see if your package consists of a superb balloon flight over the temple sites. With Yangon Airways (yangonair.com), Air Bagan (airbagan.com), Air Mandalay (air-mandalay.com) and Asian Wings (asianwingsair.com), you can reach Bagan (Nyaung-U) by air. Though many flights have stopovers en route, the 1 hour 20 minute flight from Yangon costs around £50 one-way. Book online is possible, but before flying, to reconfirm, always email or ask your hotel to call a couple of days. 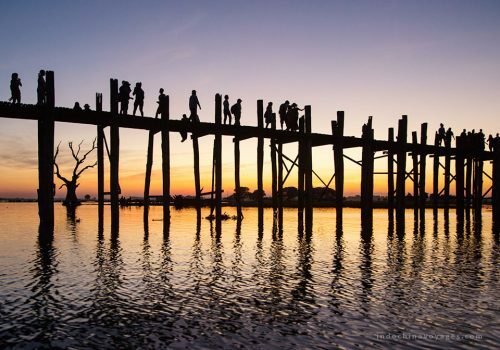 Even though a change of boat is usually required in Pyay from Yangon, schedules can be haphazard and restrictions on foreigners can apply, you can travel from Mandalay or Yangon by ferry on the state Inland Water Transport. Though the main Mandalay-Yangon line is better than most, with currently one overnight direct train daily from Yangon to Bagan traveling by train can be fascinating, yet rather slow and hard work. Around four times the price of a coach ticket, tickets cost $40 (£26) for a sleeper and $35 (£23) for an upper-class seat. The temple site is well suited to being discovered by bike, being criss-crossed by gravel paths and roads although it is too big to explore on foot. You can get bicycles for rent at most hotels in all three centers. If you want to see some of the best out-of-the-way temples or you are worried about becoming lost, hire a guide. Even though many temples are always open and access to most, guides will know where to find the key-holders for locked temples, to make your trip simpler. 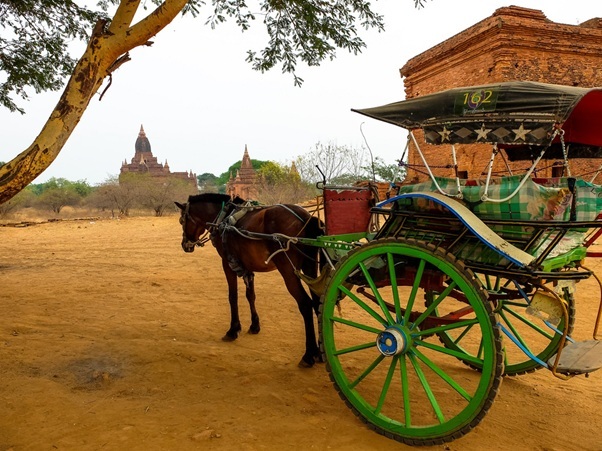 From one of the area’s 250-odd horse carts which congregate at the larger or more central temples, it is possible to explore at a more sedate pace. Speaking a little English, most drivers can act as guides to the site’s less-visited parts. Have your hotel’s receptionist tell you the latest going rate and fix the duration as well as price of the trip in advance.